If you are a fan of Vlogger/Youtuber Riva Quenery who has a 457k+ subscribers and counting as of this writing. The former Girl Trends membr will hold her first ever concert on May 27 titled RiVlog Live! at the SM Skydome. She started her vlog 2 years ago. Her first vlog is "A day in Its Showtime" with her then all group girls Girl Trends. Her first vlog garnered around 251,487 views and she never stop making videos since then. She is vlogging videos to almost anything under the sun but mostly about her love for dancing. She uses Final Cut Pro app for video editing. Fiery performances, fun banter, good memories and a whole bunch of inspiration are just a few of the things that former GirlTrends member Riva Quenery promises to showcase on her one-night-only birthday concert next month. 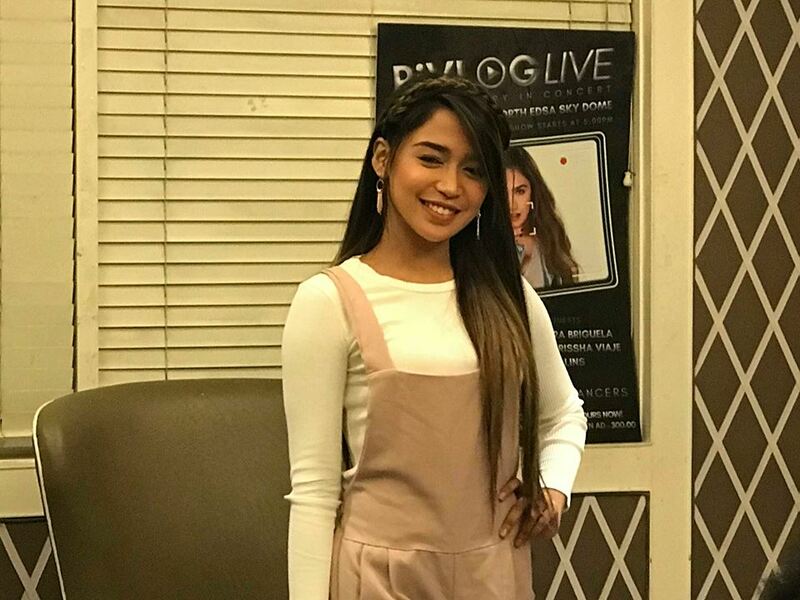 In celebration of her 20th birthday, Riva finally ticks off a major goal on her and her supporters’ bucketlist this coming May 27 through her first-ever concert titled RiVlog Live! at the SM Skydome. “Kasi para rin ito yun sa mga sumusuporta sakin na kapag pinanood nila ang concert ko para rin silang nanonood ng vlogs ko ng live,” she explained. Riva has been quite a figure in the local vlogging scene with her naturally quirky and intimately personal vlog called RiVlog. Her vlog, which she proudly runs solo, likewise earned its own stripe last year. RiVlog received YouTube’s popular Silver Play Button award, a recognition that was given to vlogs that have amassed a total of 100,000 subscribers. But, now, roughly a year later, Riva’s subscribers have more than doubled for she now has more than 340,000 followers on the said video-sharing platform. “Sobrang kinakabahan ako kasi sanay ako na magpe-perform lang as guest, pero this time, event ko talaga ito. It’s all about me. Dito ko i-sho-showcase kung ano ang kaya kong ibigay sa mga tao”, said Riva. 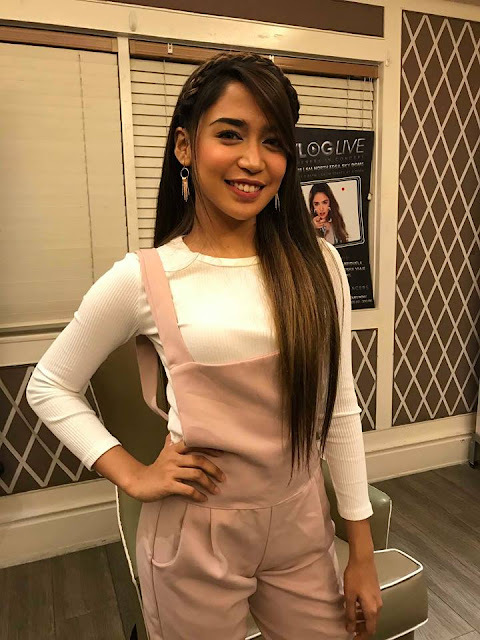 Joining her on the show are her close friends in the business Krissha Viaje and Sammie Rimando, as well as Hashtags member Zeus Collins and FPJ’s Ang Probinsyano star Awra Briguela at Maris Racal. “Pinaka-excited ako sa mga bagong genre na gagawin ko, kasi may mga gagawin ako sa concert na hindi ko talaga nagagawa before. Excited ako to explore new things para sa mga taong sumusuporta sakin kasi matagal na nila itong hinihingi sakin,”” said Riva, who hopes to encourage more performers of her age to just keep dreaming and working hard for it because they can eventually come true—just like what is about to happen to her. Dancing has always been Riva’s passion, as seen on the countless dance covers on her vlog, and the fact that she was tapped to be part of It’s Showtime’s GirlTrends. One of her biggest dancing feats happened just last month, after becoming part of the local hip-hop dance group, Power Impact. Riva and the dance crew’s rigorous trainings and long hours eventually paid off as they placed third under the Team Division at the World of Dance Manila 2018. She is also set to compete for World Dance Competition na gaganapin sa Los Angeles California.